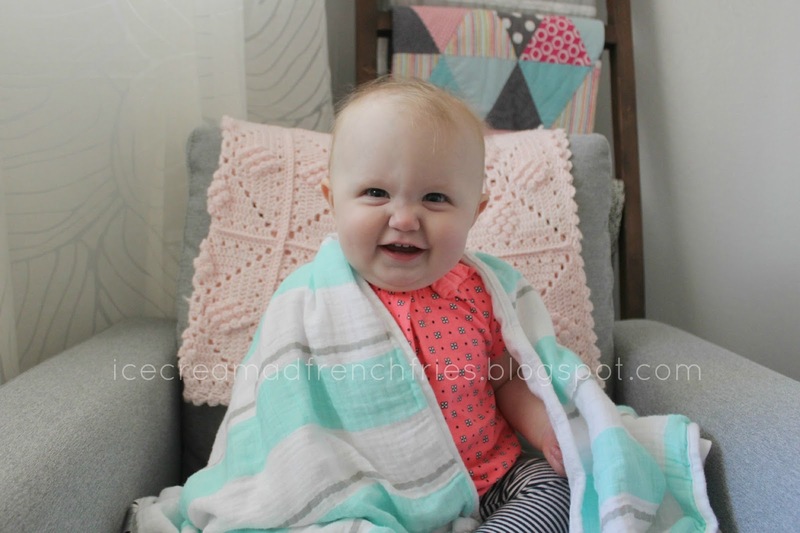 Happy Healthy Home: Lulujo Baby Childhood Blanket Review + Giveaway! Besides a post full of the cutest baby in the world, I'm back today with a giveaway from one of my favorite companies, Lulujo Baby. They recently released a number of new products and prints including the Childhood Blanket, Bamboo Muslin Swaddles - Modern Collection and my favorite new print Ice Cream Social! I have a feeling she's going to wear holes in this blanket over the next few years. Especially since it will log some serious travel miles, over the next few months, from Colorado, San Diego/LA, to Mexico. Until then I'll just snuggle with my little peanut at home. As you can see below, the Childhood Blanket is large enough to grow with her. As always Roxy isn't too far away. As a brand enthusiast, Lulujo Baby is kindly offering one lucky reader a Lulujo Baby Childhood Blanket valued at $36.99! YAY! 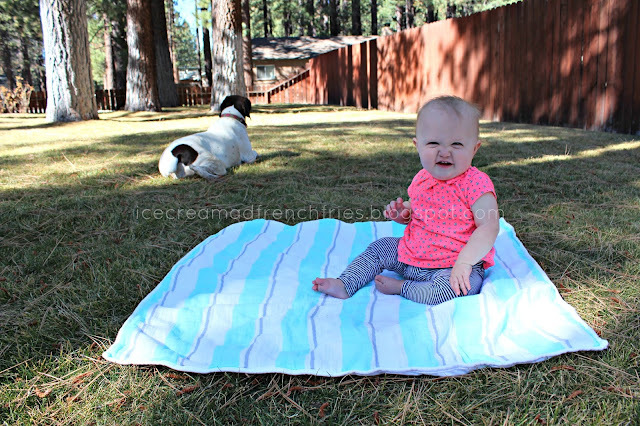 Curious about their muslin swaddle blankets or mini muslin cloths? Check out my full review HERE. 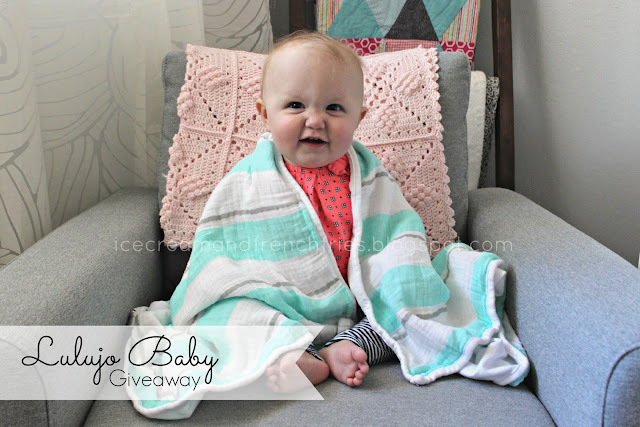 Bonus: Once you've entered below, head over to Cornflake Dreams for a chance to win a set of all (3) Swaddles from the Lulujo Baby Modern Collection. Jillian loves Lulujo Baby as much as I do. Love Lulujo! The modern collection is super cute! I like the pink stripe. I would pick the aqua stripe for my baby boy. These look soooo soft! I love the black striped. They look so comfy. I may just want one for myself. I would pikc the Aqua Stripe. I think you just gave me baby fever with this post!!! SO adorable!!! Aqua or Grey . . or maybe pink! we find out the gender of baby #2 tomorrow! 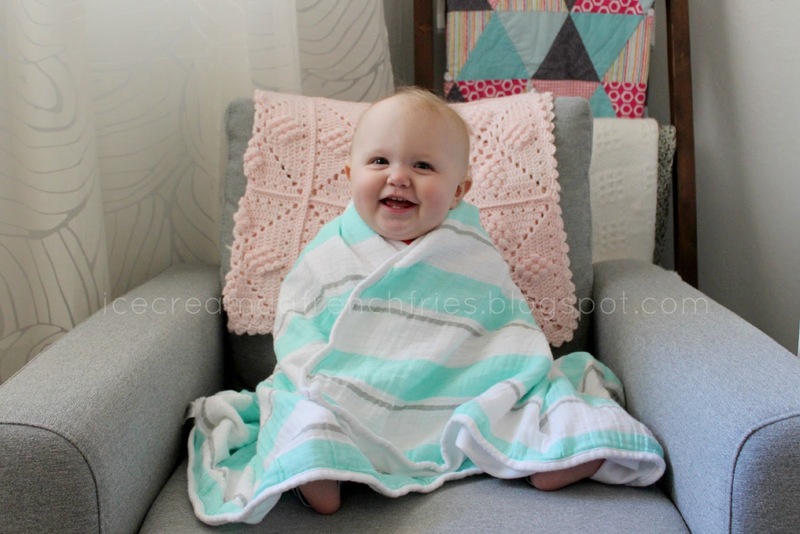 I would choose the Aqua Stripe blanket for my 6 month old! I would love to win the Grey Stripe for my little girl due in February! My daughter says the pink stripes! 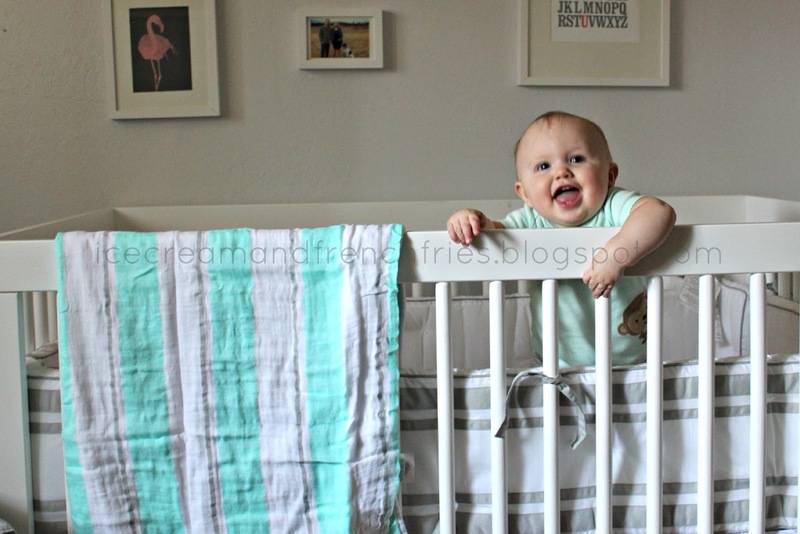 Love the teal stripes childhood blanket. Thanks for the chance! I love the pink stripes for my daughter! I would the Pink Stripe. It would be a tough choice between Aqua and Grey!! That blanket looks so comfy! I love muslin swaddles, I use ours for everything! I would choose the Pink Stripe Blanket! I'd pick the grey stripe one, too cute! I really like the grey stripe. QuickBooks Payroll Support is gainful payroll benefit for the organizations and associations having extensive workforce or representatives chipping away at a payroll premise. It can keep the reputation of all representatives compensation, stores, advantages, motivating forces, charges different conclusions or related exchanges identified with pay rates or wages of the considerable number of workers. Quickbooks 24/7 Phone Number 1800-291-2485 administrations offer you qualified specialists who have an adequate involvement in the important field. In the event that you go over an issue with the product, the specialists make a point to determine your issue in a flash. They help with downloading the QuickBooks, setting up and making the information records of the organization in windows and Mac frameworks.